Many thanks to the NASA Jet Propulsion Laboratory for making the Juno Flyby such a fun experiment. 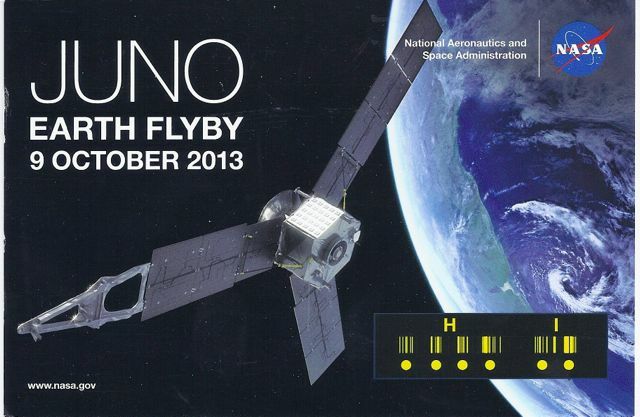 To read more about the flyby, check out our post from last year. Were any readers able to “work” the Juno spacecraft? This entry was posted in Ham Radio, News, QSL Gallery, Shortwave Radio and tagged CW, Juno, Morse Code, NASA, NASA Juno, QSL, SAY “HI” TO JUNO EVENT on April 29, 2014 by Thomas. 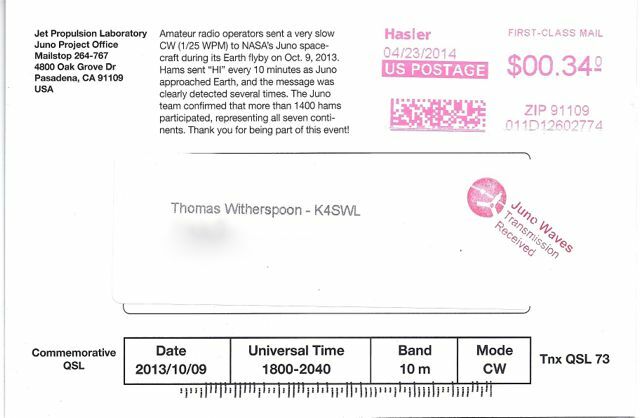 I did, got the QSL card from NASA yesterday. Yes it was fun, hope there will be another chance again.